When trying to fit a kitchen, a bar and a seating area into a small 215-square foot area, the solution seems to be a combination of simple lines, minimalist design and glass. 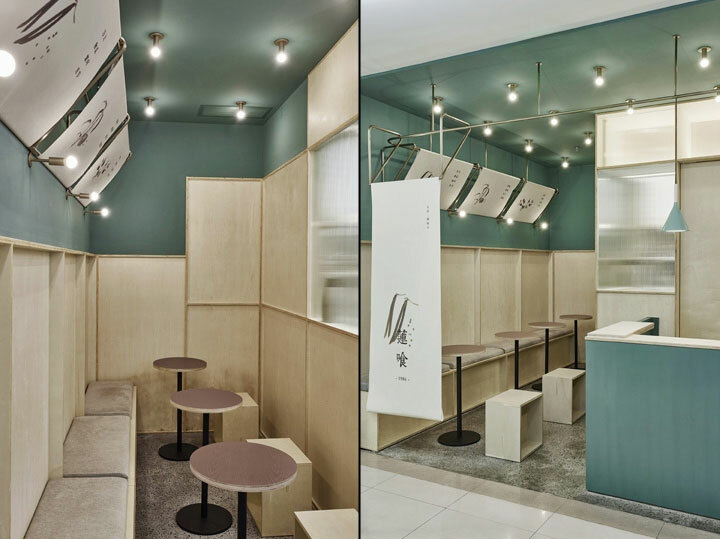 Atelier TAO + C has achieved this impressive feat with the Lotus Dessert kiosk design in Shanghai. 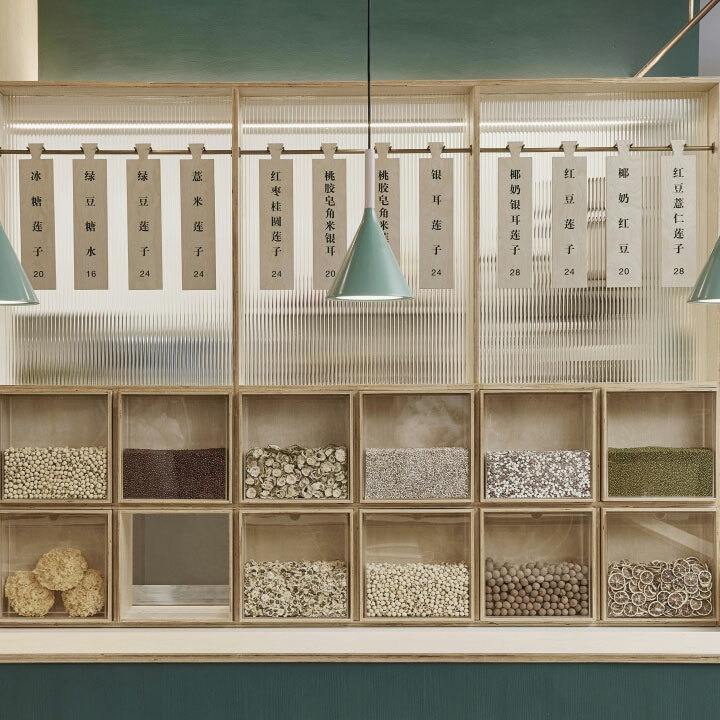 The store emphasizes traditional Cantonese desserts and lotus seeds as the main ingredient. 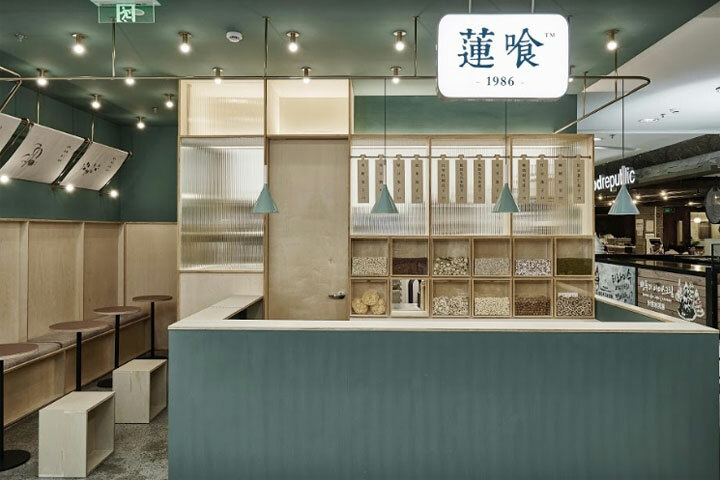 Beside the need for efficient use of space, the idea behind this dessert kiosk design was creating a place that evokes images of a traditional street kiosk. However, the store had to be adapted to an interior area and to modern tastes. The designers made heavy use of wood, allowing its natural tones to shine through. However, the result is a space that has a light, airy vibe. The secret lies in the minimal use of details and a tone-on-tone treatment of certain areas. Vertical planks of maple plywood embrace the walls of the seating area, creating an inviting, intimate space. To keep the seats apart, narrow vertical plywood boards frame the planks and create the illusion of separation. The same detail appears all around the seating area, in order to achieve a cohesive look. The furniture is designed to take as little space as possible. Lightly padded rectangular benches, balanced by circular pedestal tables achieve this task. In addition, small geometric stools fill the areas between the tables and the kitchen wall, to maximize the seating capacity. Color is abundantly used for the wall and bar counter, yet is restricted to relaxing tones of green and blue. The pendants above the bar echo the blue hues and emphasize the straight lines of the counter. 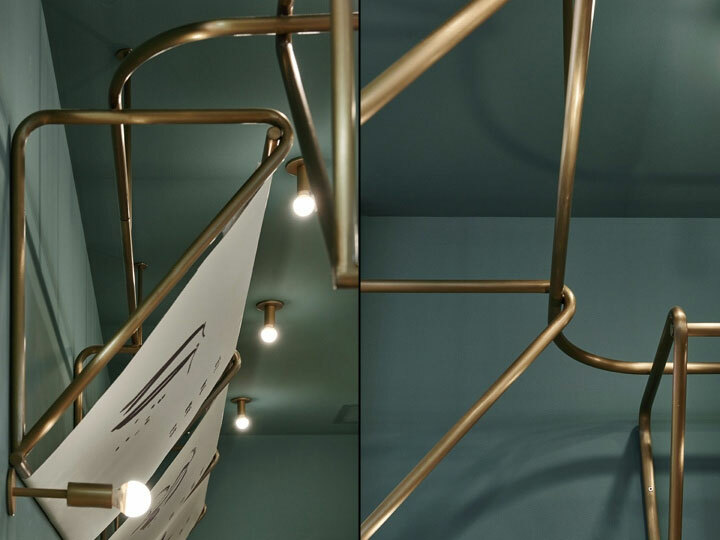 A simple yet impactful lighting system of suspended lights mix with a structure of bronze-tinged pipes to give the ceiling some architectural appeal. The pipes also serve as support for the fabric signs and banners. By partially separating the bar area from the kitchen with striated glass, the designers allowed the space to breathe, while avoiding the harsh separation of functional area that would have made the place looked cramped. The glass has the added benefit of giving a certain inner glow to the place, making good use of the play of lights and shadows coming from the kitchen. Finally, the wooden cabinets in the back of the bar play a double role as a kitchen counter on the other side of the glass divider. 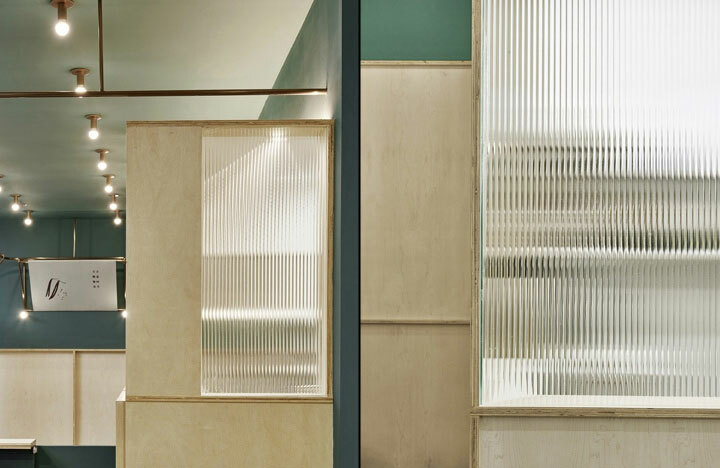 The display cabinets take full advantage of the warmth of wood and the transparency of glass. 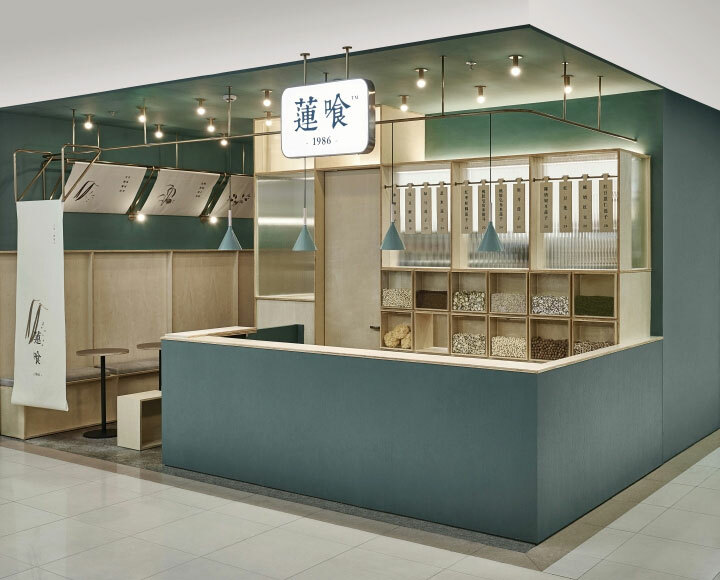 Presented this way, the products greatly contribute to this dessert kiosk design and the general feel of the space.